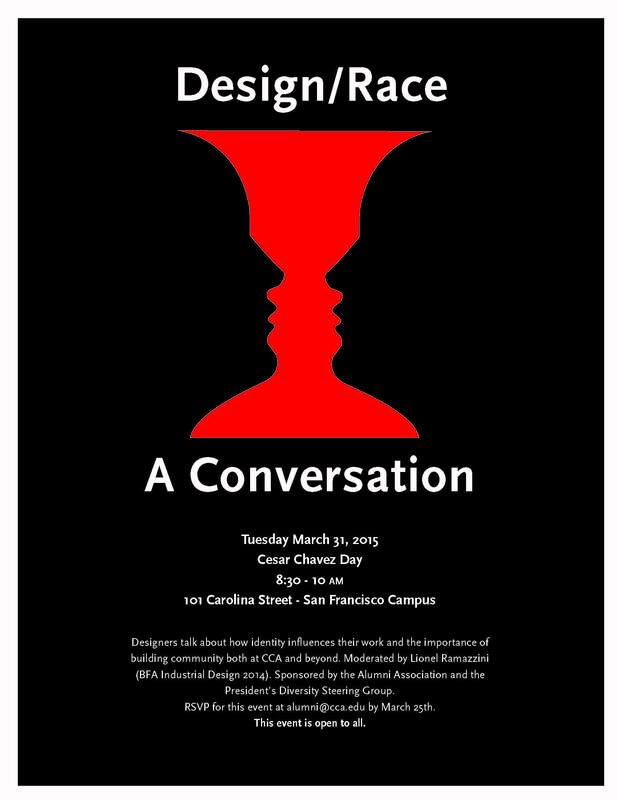 This panel discussion will take place at the California College of the Arts, 101 Carolina Street, San Francisco, CA, on Tuesday, March 31, 2015, 8:30-10 AM. It is free and open to the public. Designers will talk about how identity influences their work and the importance of building community both at CCA and beyond. Moderated by Lionel Ramazzini (BFA Industrial Design 2014), panelists will include a mix of alumni and other leaders in design with an opportunity for Q&A. Panelists will include Agelio Batle (MFA 1993) of Batle Studio, Maricarmen Sierra (DMBA 2013) of Metapattern, Mateo Hao (BFA Furniture 2013), and others.